Buick recently launched its first Avenir model with the second-generation, 2018 Buick Enclave, but the Avenir brand will soon make its way to additional cars. Although Buick said not every vehicle will gain an Avenir trim, the Buick LaCrosse is on deck for a 2018 debut. AutoGuide reports the LaCrosse Avenir showed up in General Motors’ 2018 Vehicle Identification Number Decoder. The automaker recently updated the decoder and submitted the information to the NHTSA, and that’s where the LaCrosse Avenir showed up. Per the decoder, the LaCrosse Avenir will arrive in both front- and all-wheel drive, and we’d bet the only powertrain offering is the 3.6-liter LGX V6 engine paired to a nine-speed automatic. For 2018, Buick made the 2.5-liter eAssist mild-hybrid powertrain standard, and the V6 an option. 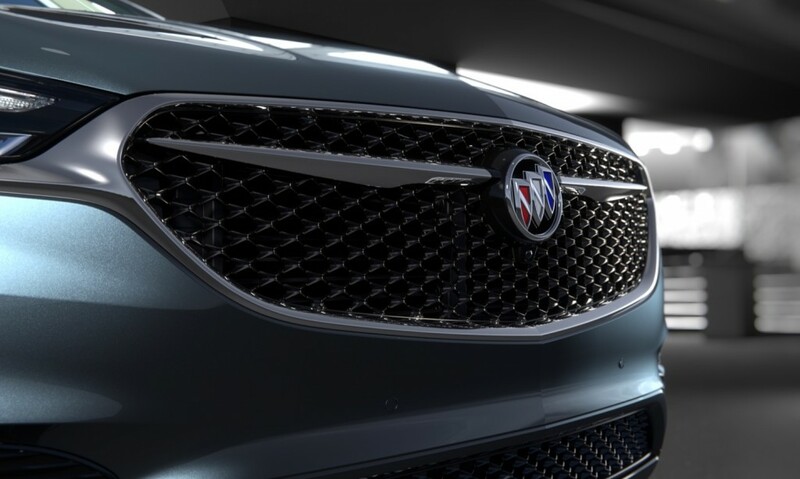 Like the Enclave Avenir, expect show-car design elements such as the three-dimension grille, specific Avenir wheels, chrome wings flanking the Buick badge up front, and more premium trimmings inside. Although pricing is far from official, the Buick Enclave Avenir commands a $5,400 premium over the second-highest trim level. With that in mind, prices for the 2018 LaCrosse Avenir will likely clip over $45,000. Sagging demand plagues the Buick LaCrosse in a market hungry for crossovers and utility vehicles. GM will reportedly shut down the Detroit-Hamtramck assembly plant where the LaCrosse is built, among other passenger cars, for six weeks in November. In the process, the automaker will likely lay off 200 workers. Days’ supply of LaCrosse sedans hovers near 300 days. Maybe instead of offering an even more expensive trim that few will want to pay for on a car that is already overpriced maybe they should figure out a way to sell all the leftover 2017’s clogging up the dealer lots so the 2018’s can start making there way in. Premium trim levels already have stickers well over 45K so I would expect closer to 50 large plus for this one. Didn’t you only just recently tell us that GM was going to late down it’s models, with the LaCrosse (and Impala) being one of them? So, which is it? I was looking for a new car in 2014 and it had to have all the options I wanted. The only thing under $75k was the Buick Lacrosse. Now it did list for 49K with the leather package, safety 1 & 2 options, 20″ wheels, Special interior with real wood, sun roof, Pearl white pearlcoat optional paint etc. Buick was having their Black Friday 20% off sale so I bought the car for 40K. What a bargain that was. Had the car for three years and love everything about it. The software designers did a genious job programing everything. Every sensor is spot on. When I got used to the car I took my first long ride using the adaptive cruise control. My trip was 110 miles and included interstates, interstates in rush hour with stop and go traffic and back roads. Did not have to touch the gas or brake once. Just had to adjust the speed down for the country roads. I could go on and on. Best 40K I ever spent. If GM would start advertising the darn thing it might be putting up some better numbers. I see a ton a Buick commercials but not once do I see a Lacrosse advertised. Only the ugly crossovers. More advertising is not going to change much here. Next the Regal. Will be here splitting a small slice of the market even smaller. It is a shame as this is a good car but it is just not what the market wants much of anymore and there are a lot of similar cars in the segment fighting for the same pool of buyers. You may think Crossovers as ugly but they are beautiful yo the bottom line. They are the growing segment and why they get the advertising dollars. Have to disagree with you Scott. Lets be honest here, the majority of the buying public are not car people like us. They have little understanding of the auto industry and its products and for most part hate shopping for a new vehicle. Well if your advertising nothing but crossovers and SUVS guess what the average buyer is going to the dealer to test drive and probably end up buying. You can advertise anything but when the market is in to a different kind of model you are not going to sway them. First off Buick has marked this car recently. I can recall two different commercials on the Lacrosse. The Lacrosse is just in a bad place at a bad time. This is a great car but it is at a time people are not moving to cars. It also is at a price point there is a lot of competition that is seen in a less prejudice manner. The Crossovers Buick make do not have to fight the stoggy image as it was not part of that era. Then it also has to fight the Impala and XTS for sales for just a little more and a little less. Next up the Regals is going to hurt it with its V6. Germans and Japanese’s rebate these hell out there car’s to get the little sales there are for larger sedan’s. Yes you can advertise more, but will people come and buy ? If sales are there, there just not there. I’m disappointed that some of the Buicks, including the Lacrosse, lost their trademark waterfall grill starting with last year’s models. Even though the grill is still a waterfall look it’s been subdued a lot by the horizontal line running through it. I do not like the new grill. Please, bring back the strongly visible waterfall grill with no line running through it for all models that don’t currently have it. Thanks.